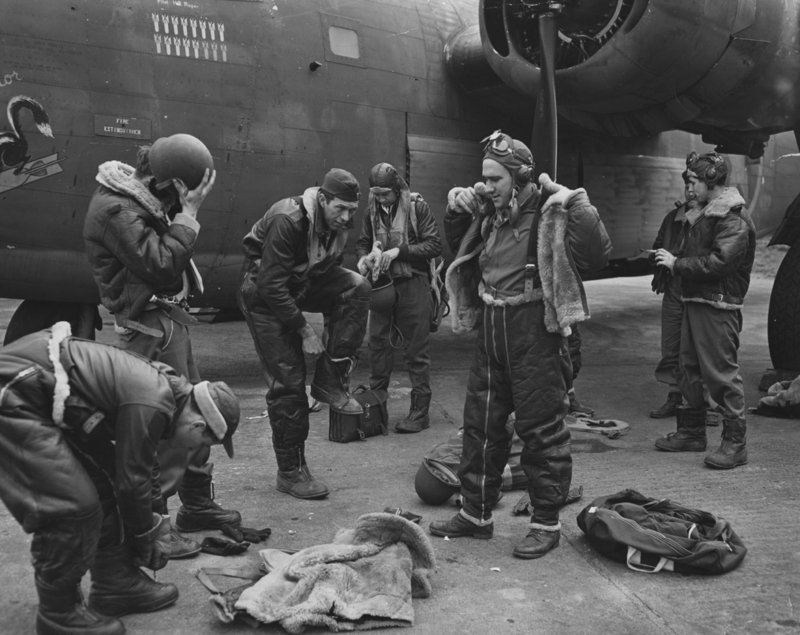 A bomber crew of the 93rd Bomb Group don their flight gear before a mission, flying a B-24 Liberator (41-23717) nicknamed "Exterminator". 3 April 1943. In the centre are pilot Hugh Roper and gunner Earl Lemoine.